Loudoun Soccer and FC Virginia have teamed up to offer U.S. Soccer Development Academy programs for boys and the girls. FC Virginia, under new ownership of Christian Cziommer, will represent the Girls Development Academy, while Loudoun Soccer will retain the Boys Development Academy. Both clubs will share resources between teams with equal representation on either side. This collaboration of staff and programs follows a nationwide youth soccer trend to focus on player development and create more competitive teams to represent the area on a regional and national levels. 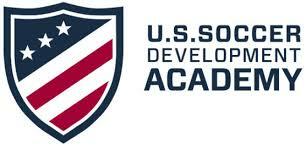 The U.S. Soccer Development Academy has a goal of identifying and developing the nation’s elite players. “This partnership is huge for the progression of the game in this area and will allow players from both clubs to have greater opportunities on an elite stage. We couldn’t be more pleased for this new door to open for both clubs and know all our players will benefit from it,” stated Darryl Gee, Loudoun Soccer’s technical director.